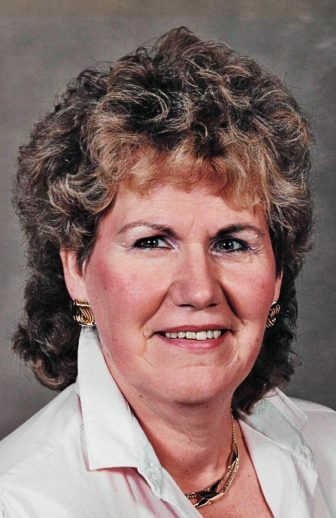 Shirley Alice Fair, 80, of Bethlehem Township, died Saturday, March 30, 2019 at Blough Healthcare Center, Bethlehem. Shirley was born in Lower Saucon Township on Feb. 27, 1939 to the late Abram Sr. and Esther (Forrer) Fair. She worked for the former Fuller Company for over 30 years until retiring in 2001. Shirley was a member of St. Luke’s Old Williams Lutheran Church, Hellertown. Several nieces and nephews; great-nieces and nephews. She was predeceased by her siblings: Oliver, Sophia, Pauline, Marjorie, James, Abram Jr., Edward, June Koerner, Esther Judd, Grace Maniere and Martha Holetz. Family and friends are invited to call from 10 to 11 a.m. on Saturday, April 6, 2019 at St. Luke’s Old Williams Lutheran Church, 20 Church Road, Hellertown. The calling hour will be followed by a service at 11 a.m. The interment will conclude services at St. Luke’s Old Williams Cemetery. Online expressions of sympathy can be recorded at www.heintzelmancares.com. In lieu of flowers, memorials may be made to the church (zip code 18055) and/or the American Cancer Society, 3893 Adler Place, Bethlehem, PA 18017.